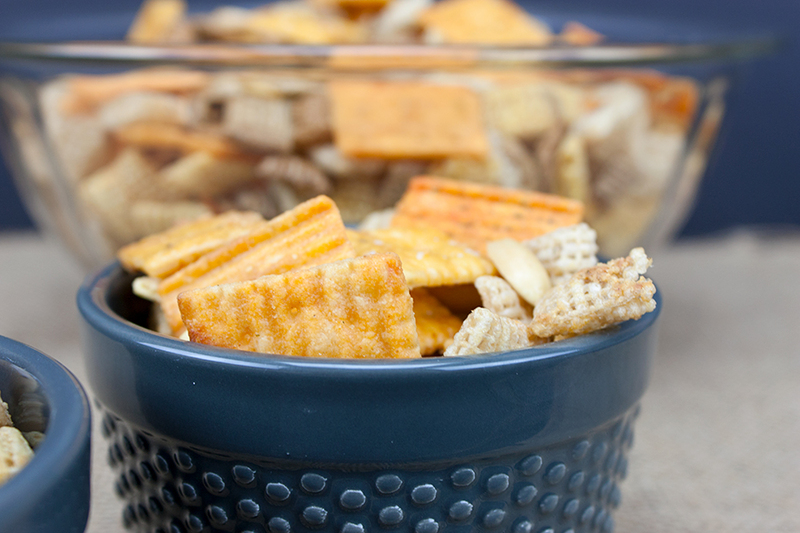 Spicy cheddar snack mix is a must have for all parties, gathering and just plain movie night! It’s the perfect blend of spice and cheese flavors. 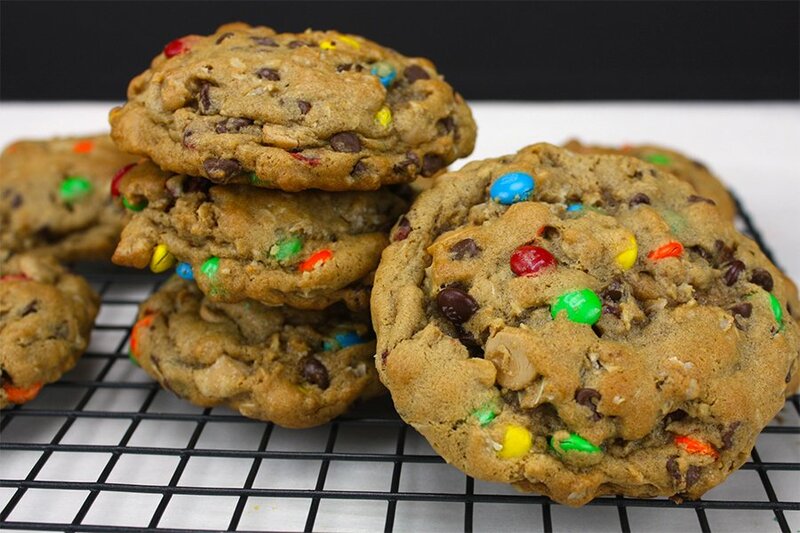 I suggest making several batches because it doesn’t last long. It’s just like making regular snack mix, simple and delicious. 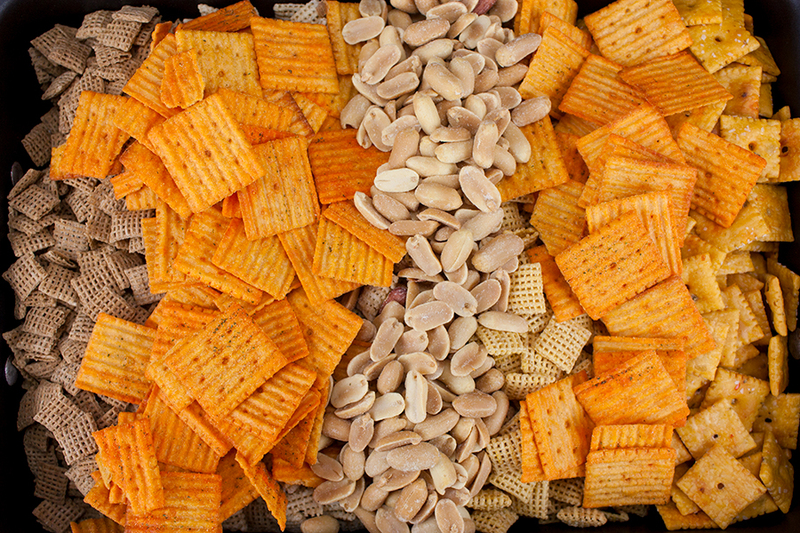 Add the Chex cereal, crackers and peanuts to a large roasting pan. Whisk the butter, ranch packet, red pepper flakes, parmesan cheese and Worcestershire sauce together in a small bowl. Pour the sauce over the mix and stir gently to coat. Bake for 1 hour. 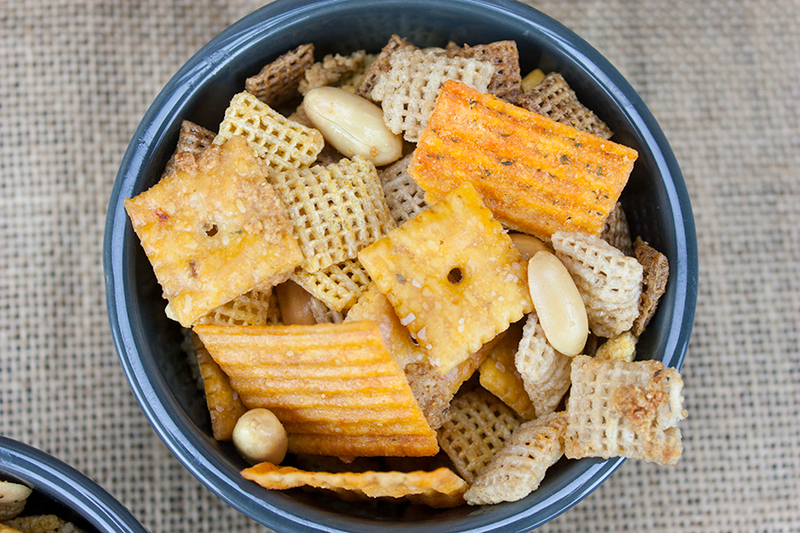 I chose pepper jack crackers and hot & spicy cheddar crackers to give this mix some extra spunky flavor. You can choose whichever type of cheese crackers you like. We make snack mixes all year round. 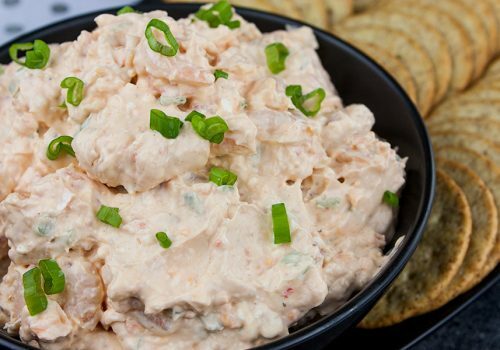 Easy enough to feed a large crowd or just snacking for your family. 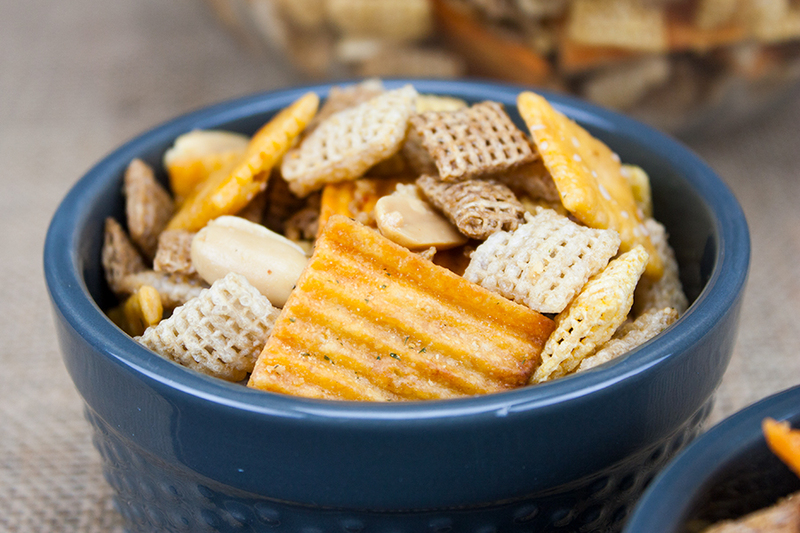 Spicy, crunchy, cheesy snack mix that’s perfect for any occasion! 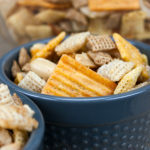 Spicy Cheddar Snack Mix - Spicy, crunchy, cheesy snack mix that's perfect for any occasion! 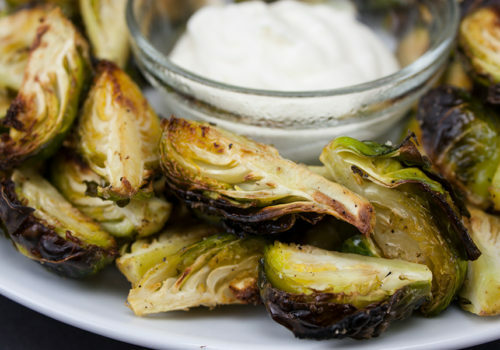 In a small bowl, whisk the melted butter, ranch, Parmesan, red pepper flakes and Worcestershire sauce. Pour the butter mixture over the mix and stir gently until evenly coated. Oh yum! I can definitely see why this snack mix doesn’t last long with all those yummy flavours! Pinning. 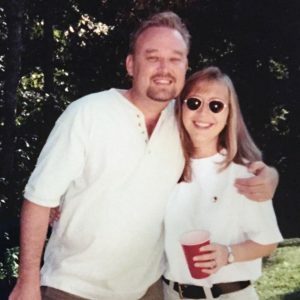 Thank you for sharing with us at Hearth and Soul, Leigh. This is perfect for the holidays. Hope to ‘see’ you again this week!